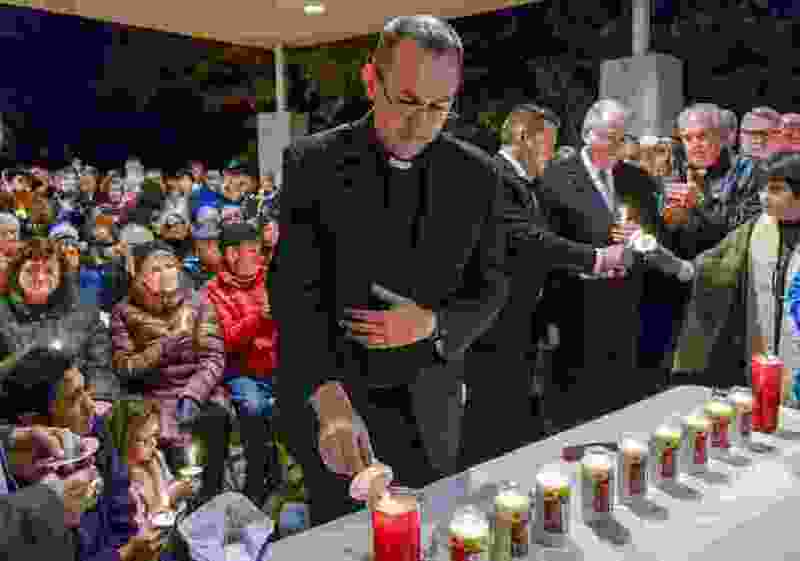 Leah Hogsten | The Salt Lake Tribune Father John Evans of St. Thomas More Catholic Church lights a candle in remembrance of the 11 people killed at the Tree of Life Synagogue in Pittsburgh during a vigil and prayer service at Congregation Kol Ami, Tuesday, Oct. 30, 2018. As a Muslim youth choir sang and leaders from more than a dozen faith organizations lit candles, members of the Jewish community in Salt Lake City called for love and kindness Tuesday in the face of anti-Semitic violence. 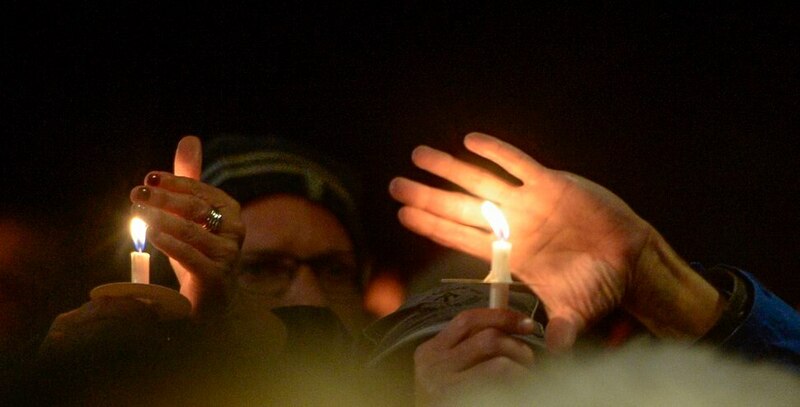 Jay Jacobson, president of the United Jewish Federation of Utah, warned mourners to remain vigilant in the face of escalating hate speech and violence. Leah Hogsten | The Salt Lake Tribune Members of Utah's Jewish and interfaith communities hold a vigil and prayer service at Congregation Kol Ami, Tuesday, Oct. 30, 2018 for the 11 people killed at the Tree of Life Synagogue in Pittsburgh. Speaker Amy Ireland reminisced on her childhood in the Squirrel Hill neighborhood of Pittsburgh, site of the Tree of Life Synagogue, where Bowers allegedly burst in on worship services and opened fire on the congregation, shouting “All Jews must die.” The rabbi who conducted Ireland’s parents' funerals was involved in memorials Tuesday for some of Bowers' victims. Before Saturday, Squirrel Hill was home to neighborly chit-chat on people’s porches, multiple Jewish congregations and schools, and acclaimed children’s television host Fred Rogers, Ireland said. “This was Mr. Roger’s Neighborhood,” she said. 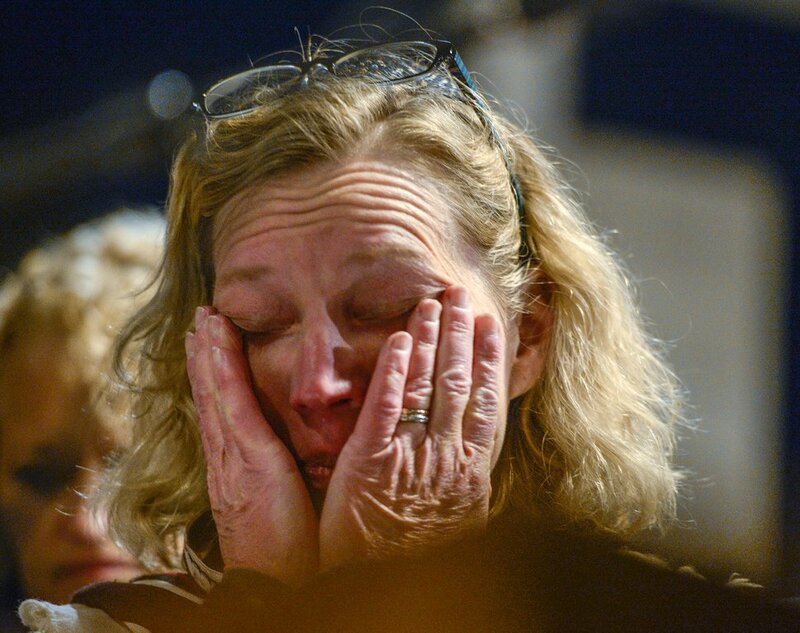 Leah Hogsten | The Salt Lake Tribune Congregation Kol Ami cantor Wendy Bat-Sarah wipes tears from her eyes during a vigil and prayer service at Congregation Kol Ami, Tuesday, Oct. 30, 2018 for the 11 people killed at the Tree of Life Synagogue in Pittsburgh. Language that mocks, demeans and incites bigotry “creates fertile ground for seeds of hatred,” she said. The only solution, Ireland said, is to persist in kindness.